For some readers this lesson may be old news but for many, this will possibly be the first time they have received a formal rundown of credit cards and how they work. Unfortunately, it seems like most information people get about credit cards are from personal experience or what they hear from their friends and family, and sometimes that information gets skewed. This lesson will attempt to give you a basic overview of how credit cards work and why they are very powerful tools that should not be feared or avoided. A credit card is the physical representation of a certain amount of money a bank or credit union is willing to lend you via a “revolving credit” to make purchases each month or billing cycle. There is an interest rate associated with whatever balance you carry over at the end of each billing cycle. What this means is that if you pay your entire balance in full each month then you pay zero interest on all your purchases. If you do not pay the balance in full then the remaining amount carries over to the next statement and interest is then applied to the amount until everything is paid off in full. Late payments accrue fees as well. Many people confuse “minimum payment” with what they need to pay in order to not get penalized via high interest. This is incorrect. The only way you avoid paying anything extra is paying the “balance in full.” So if you see $500 on your statement, you need to pay $500 or you will begin accruing high interest. The only thing the “minimum payment” amount does is avoids you having to pay any late fees. Banks love having people only pay the minimum because that equals high profit off interest.There should be no reason why you do not pay your balance off in full every month. If you can’t, then you are spending too much money! Credit cards should not be used as loans to be paid over time. Also to clear up one very prevalent myth of carrying a balance and accruing interest: CARRYING A BALANCE DOES NOT “BUILD” YOUR CREDIT SCORE ANY FASTER THAN PAYING OFF YOUR BALANCES IN FULL. I have heard countless people preach about carrying a balance and think it is really helping them. I don’t care if your mother, spouse, or bank tells you this, it is simply not true and is a horrible misconception that has caused a lot of people to needlessly pay high interest rates on balances they should have just paid off in full. This “line of credit” or “credit limit” a card has is determined when you first apply for a credit card and can change throughout your relationship with that particular card. There are a few factors that a bank considers when granting a credit limit and interest rate. The two biggest factors are your credit score and income. Your credit score acts as an indicator of how much of a risk you are (i.e. the odds you will pay your credit card bill) by looking at your past behavior with loans, bills, and other credit cards. Late payments, delinquent accounts, and other negative examples from your credit history will appear on your credit report and give you a lower credit score. Paying all your bills on time, having a variety of accounts in good standing, and not having any delinquent accounts will be positive indicators and give you a generally higher credit score showing you are less of a risk for banks to issue you a credit card. There are some factors you do not have too much control over, most notably, your average age of credit and number of accounts. The younger you are the more likely these two factors will be limiting your overall credit score. Unfortunately a lack of credit history generally is seen as a riskier choice for many banks. So the more of a perceived risk you are the less chance you will be issued certain credit cards or get a high credit limit and low interest rate. You can mitigate these factors by not opening too many new accounts at once or you can open your first credit card sooner in life rather than waiting. There is a lot more to credit scores that I will extrapolate on further in future lessons but for now that is a very quick overview of how your score plays into getting a credit card. What is also useful to know about credit cards is the difference between the credit card issuer and the credit network that card is a part of. The four main credit networks are American Express, Discover, MasterCard, and Visa. Thanks to effective marketing campaigns most of these names should be incredibly familiar to you. However with the exception of a couple, most networks do not issue their own cards and instead use other banks and credit unions to issue them. Why is this important? Well because not all cards are created equal, it is very important to identify those differences early on. You could have three different credit cards all branded with “MasterCard” but issued by three different banks. This translates into very different rewards from each card even though they are all MasterCards. One card could give its users miles, while one gives points, and the third might give straight cash. One of those cards could have an average of 2% back in rewards while the others could have 1% or less even though they are all MasterCards. The reason this is the case is because the issuing bank or credit union generally determines what the rewards are. It is easy to see why many people see credit cards as dangerous traps no one should use. However, credit cards are not inherently evil. If you pay your full balance off each month, it is exactly like paying for everything that month in cash because you pay zero interest. By using a card, however, the benefit for you is that you are getting different rewards (cash, miles, or points) for every transaction you make. So when you pay your balances off in full you are actually sort of “making” money. For example, say two people spend $1,000 in one month for all their purchases. The first person uses cash only. Maybe they accrued a few ATM fees withdrawing the cash to use or maybe they used a debit card. Either way for that month they spent $1,000 or so and it is gone. The second person used credit cards that got them an average of 3% cashback for all their purchases and then paid their balances off in full. That second person who spent $1,000 and got $30 back, did not accrue any ATM fees, and continued to build their credit which will help them down the road when they apply for an auto loan or a mortgage. Now multiply this scenario by 12, 24, or 36 months and you can start to see how the second person will be much more financially healthy compared to the first person who just used cash for everything. Another benefit with using credit cards is fraud protection. We hear a lot in the news about how easy it is for someone to steal your credit card information but what you do not hear all the time is how virtually every card now comes with fraud protection. What this means is that if your card information is stolen and is used to make unauthorized purchases, you contact your bank and are not liable for those purchases. But what if you only use cash or a debit card and your wallet got stolen? Well in this case you will have a much harder time recovering from that. Cash is almost never recoverable and unauthorized debit purchases and ATM withdrawals are incredibly difficult to identify and prevent before it is too late. Once funds from those sources are stolen there is a good chance they will never be recovered and you will be stuck dealing with it. Credit cards give you the peace of mind that even if someone tries to use your credit card, you will have major financial institutions helping you and you will not have a cent of your own personal money affected. Other credit card benefits include extended warranties, price matching, and various travel insurances for your purchases of which using cash or debit definitely do not provide. How do credit card companies make money off credit cards? One of the easiest ways companies and banks make money off credit cards is due to the interest many people accrue when they do not pay their balances off in full. These also include late payment fees and cash advance fees. However, what about all the visitors at Credit Card Nirvana who never accrue interest and fees because they pay their credit card bills off in full and on time? Well, for these people and everyone who uses a credit card, companies and banks get money for every transaction made with a credit card, paid by the merchant. Ever wonder why certain stores beg you to open one of their branded cards instead of using one of your own? Or why do certain small businesses and restaurants only take cash? Well the reason is that every time you swipe your credit card to buy something, that merchant pays a small percentage of that purchase to the credit card network. So even though you pay your bill off in full and never pay a cent in interest, the companies involved are still making money off of you. Your rewards when using your card is the company giving you a small piece of what they get off your transaction. That is why generally the higher rewards cards carry an annual fee to help offset that for the companies. Depending on your spending habits these annual fees can have a small or a large impact on your total rewards. I will discuss more about this in future posts and reviews. What is a charge card and how is it different from a credit card? Many times I will hear people use “charge” and “credit” interchangeably when talking about the cards they have. However there is one very important difference between the two. A charge card has to have its balance paid in full every month and does not have a revolving credit line like a credit card does. Charge cards also generally do not have a monthly spending limit. With a credit card you choose to pay the minimum balance, the full balance, or somewhere in between without be penalized (aside from accruing interest which in my opinion is a punishment in itself!). 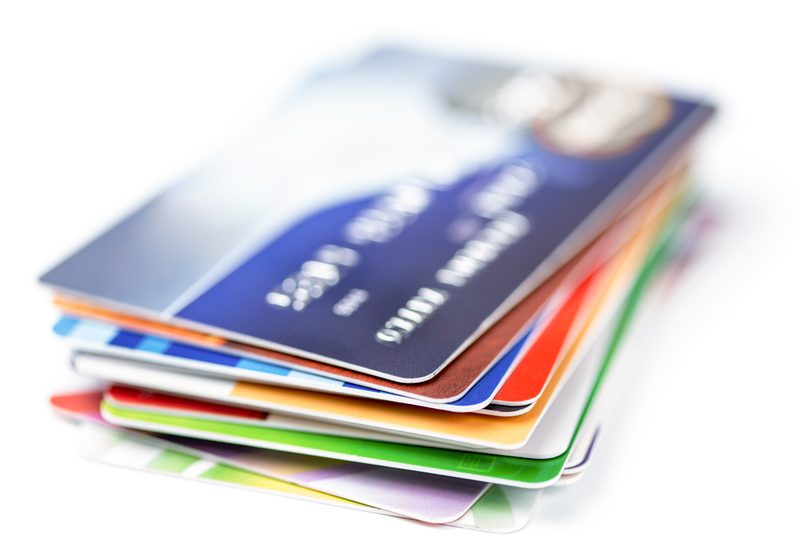 Most cards out there are credit cards, however, there are a few examples of charge cards. Some American Express cards are the most notable charge cards such as the American Express Platinum Card. I, however, view ALL credit cards as charge cards. If I cannot pay the monthly balance off in full every time, I won’t spend the money. The interest rate alone is not worth it and destroys whatever I have previously gained in credit card rewards. Credit cards are amazing if used correctly. Half the battle is understanding how they work and knowing how someone can dig themselves quickly in debt if they do not pay their balance off in full. Knowing that not all cards are the same and give out the same rewards is equally important. I hope this was a useful overview of some of the basics about credit cards. I will continue to post lessons about different aspects of credit cards to help everyone on their journey. Remember when it comes to credit cards, knowledge is power.